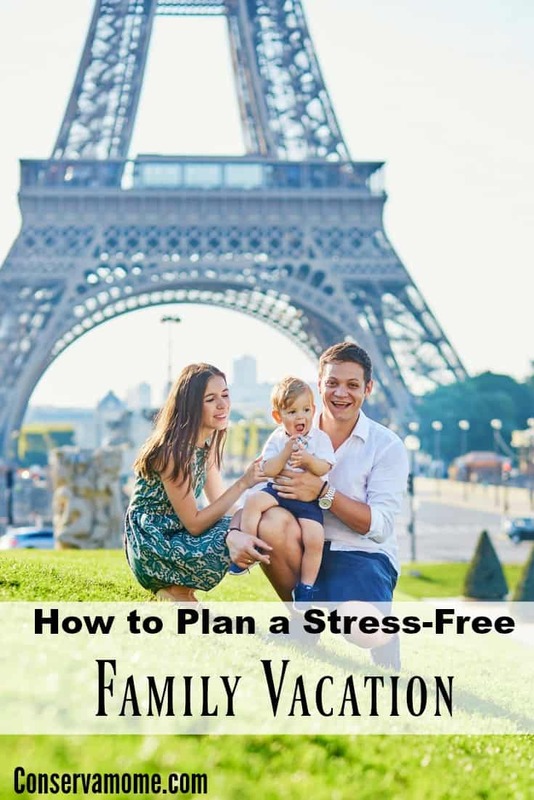 Going on vacation doesn’t have to be impossible .Here are some tips to Help plan a Stress-Free Family vacation, so you can have fun! Does the thought of going abroad with the family fill you with dread? Are you sick of having the same old arguments that leave the entire family in a mood for the rest of your stay? If this sounds familiar, you’re not alone! So many families look forward to some rest and relaxation when they plan their next break, but often the stress of booking the holiday itself can get in the way of it. Here are some great pointers for a stress-free family getaway – I hope they help! From your airport parking to your theater seats, the early bird certainly catches the worm. Start off with the larger purchases: your hotel and flights. If you book as far in advance as you can, you’re more likely to get your pick of the most popular destinations, as well as the best times to fly, at far cheaper rates, removing any stress that you might not get that dream destination. Then think about what you’re going to do whilst you’re there – is there anything you can book early to avoid disappointment? It’s a good idea to think about what activities you want to do during your holiday, but it’s an even better one to plan each day. With most families, there’s often some competition about where you should go, what you should do, and before you know it, the kids are already arguing! Take a step back and thoroughly research your destination; as a family, make a list of all the places you want to go and then rank them by how important they are. Now you can put together a guideline for each day of your stay. Not only does this mean you get to pack as much fun as possible into your trip, but it means everyone gets to go to something that was their idea. You can agree on the plan of action together, and it will cut out all the arguing, as the itinerary has already been decided. During the months that run up to your vacation, use your time to relieve as much stress as possible. Work out all your budgets so that you can put spending money aside each month – that way you don’t need to panic about a huge chunk of money leaving your account at once. Keep an eye on all the clothing sales for new wardrobes, stock up on any medicines or creams you’ll need, and make a thorough list of any extra equipment required. From walking boots for a hiking trip, to skiing jackets, the last thing you want is to speed-pack only to find you’ve left something vital behind. Are you thinking of booking your family vacation soon? I’m glad I read this..heading to Mt Rushmore in a few weeks & didn’t think to pay for tickets ahead of time for some of the places we’re going to. Thanks for the great info! we are currently planning a couple weekend trips, but theres one for this summer, possibly a month across country, down into the states. trying to fing the best route. I agree with you that research is such an important part of planning a vacation, especially overseas! This is great advice. Although, I still don’t think there is such a thing as a stress free family vacation. Planning family vacations sure takes a lot of time and effort but is worth it. I always like to be extra prepared and have my research done.